When you are figuring out how to enroll in Original Medicare, it’s critical to keep a few essential things in mind with regards to the rules and risks that can apply. Original Medicare expenses are certainly enough without additional penalties for enrolling late. Learn how to avoid these fees and penalties and make your Medicare undertaking as easy and pain-free as possible by calling us 920-545-4884 and continue reading our article about Medicare Late Penalties. Medigap plans, also known as Supplement plans, are standardized health insurance policies that you can buy to help manage the out-of-pocket costs (“gaps”) in Original Medicare plans. Medigap plans in Wisconsin have the same standardized benefits than the benefits that are offered in the other areas of the United States, they are just not standardized using the lettered plans. You can get a free Medigap Quote by calling us at 920-545-4884 or further down this page. Keep reading for more information on Medigap (Medicare Supplemental) in Wisconsin. The Centers for Medicare & Medicaid Services (CMS) has announced that the new Medicare Cards are on the way and should start to arrive in April 2018. They will be gradually phased in and will take approximately a year to complete. For any questions or to see how this will affect your Wisconsin Medicare Supplement Plan, call 920-545-4884 for answers or to get compare Medicare Supplement rates. 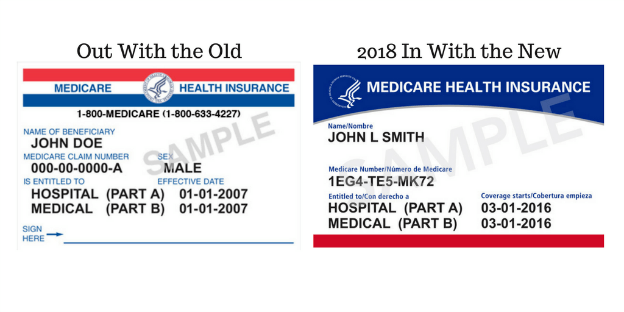 Continue reading for details on the New Medicare Cards. IAC Medicare Supplement began its operations in 1956 as Institutional Agencies Corporation established by Mr. Robert Stroud. Mr. Stroud’s intention was to offer products and services to individuals and groups in the Pacific Islands. You can get a free Medicare Supplement quote for IAC further down in this article, or call us 920-545-4884 to get pricing on all the Wisconsin Medicare Supplement Plans in your area. Founded in 1955, Bankers Fidelity Life Insurance continues to rely on their sound financial position and their mission of a client-focused philosophy to become one of the leading Medicare Supplement Insurance providers. You can get a quote for Bankers Fidelity Medicare Supplement and all Medicare Supplement companies available in your area here or by calling us direct at 920-545-4884.